Who should get a virtual office phone system? What are the different types of small business phone service providers? Why does your business need a virtual PBX phone system? How do virtual office phone systems work with UniTel Voice? How do you set up the perfect auto attendant? A virtual office phone system is a great choice for startups and small business owners. It’s the most affordable and easy way to set up a professional phone system that will help your business sound professional and stay connected. Virtual office phone systems with UniTel Voice include a virtual local number or 800 number with an auto attendant, greetings, extensions, and voicemail. The best part is there’s no equipment or hardware required, virtual (cloud-based) office phone systems work with your existing phones (home, office, cell, landline, VoIP or smartphone app) and virtual PBX functionality is managed completely online. If your business operates online and you don’t have a physical address (ex. web designer, ecommerce store, subscription-based business, consultant, etc.) a virtual phone system is right up your alley. For less than $10 per month, you can set up a professional phone system that routes your callers to remote workers or sales offices anywhere in North America. You can add a unique vanity 800 number or local DID number to your website or landing page in seconds to increase and track conversions. Whether you’ve successfully franchised your company or you’re hoping to one day franchise your business, using a virtual office phone system makes a lot of sense. Having one centralized business phone system that connects your franchises allows you to scale and expand your operations to multiple locations across different cities with minimal effort. That’s because with virtual business phone systems everything is managed online (cloud-based), you can easily additional numbers, users, extensions as your organization grows and changes. If you’re local business that serves a local area without a physical location that customers visit (e.g., plumber, food truck, landscaping business, etc. ), you should consider virtual phone system because it turns the world into your virtual office. In other words, it works with your mobile phones as well as your home or office phones, so wherever you go you’ll sound professional and stay connected. Much like startups, home-based business owners want to project a professional image and make customers feel like they are dealing with an established business who can meet their needs. When you get a toll free number (especially a custom vanity number) in conjunction with a virtual office phone system can help home-based businesses look and sound more professional. A virtual office phone system allows you to use your existing phones, home phone or cell phone and keep personal calls separate from business calls. For example, if you get a business call on your cell phone, you can tell by the caller ID that it’s a business call. You can also answer calls on the UniTel Voice smartphone app to keep things completely separate. Either way, when your customers call your business, they’ll get the impression they’re calling a professional company with a professional business phone system. If you are just starting your business and perhaps bootstrapping it on the side, you might be tempted to set up a free Google Voice number as your business phone number (you have to use a third-party provider to get a Google Voice toll free number). This is usually a poor choice because Google Voice is not designed to be a business phone system – it’s really just a virtual phone number with voicemail. You cannot set up a true auto attendant (main greeting with extensions), so when your customers call your business it sounds like you are using a free Google Voice number. Especially for startups, establishing credibility is super important, and calling a Google Voice number can leave an unprofessional impression. A lot of entrepreneurs make the mistake of using Google Voice and then as they start getting sales calls, they realize they need a different business phone solution, and porting their Google Voice number to a new provider is a big pain. There are simply better alternatives to Google Voice for business. For entrepreneurs and startups, a virtual office phone system is typically the best choice for a business phone solution. Also known as a virtual phone system or virtual PBX, virtual phone systems can be set up online in minutes, they’re super low-cost, requires no upfront investment in hardware, software, time or money. And the best part is virtual phone systems like UniTel Voice allow small business owners and entrepreneurs to run their business using cell phones and still have all the power of a traditional business PBX system. They include tons of amazing business phone system features. You can choose to use local numbers or toll free numbers as your business lines and when your customers call your business they are greeted and routed to the proper extension, phone, or voicemail. A full business VoIP system is like a virtual office phone system in that it’s cloud-based and can be mostly managed online, however it also includes physical VoIP hardware such as IP-phones and computer-based softphones that rely on your local internet connection to make and receive calls. This type of business phone system requires some technical experience to set up special servers to ensure call quality and usually a significant investment in time and money. Most modern offices use a business VoIP solution. A traditional business phone service requires that you maintain an on-location PBX that connects your office phone to POTs lines. These types of legacy phone systems are still widely used however they are expensive to maintain and don’t offer nearly the same features of modern cloud-based business phone systems with a hosted PBX. For that reason, they are rapidly going away. Interactive voice response (IVR) is a phone system technology that allows a computer to interact with humans through the use of voice and/or a phone’s keypad. An IVR can integrate with a company’s CRM and billing systems to allow customers to interact with a business’s host phone system to get information about their account, bill or services. A virtual receptionist sometimes refers to an automated attendant but in this case, we are referring to a third-party company that can serve your business as an outsourced call center where a live person answers your business calls and either take a message or assists your customers with their inquiry. When you’re a startup, the last thing you want to sound like is a guy running his business from his cell phone. With a virtual PBX phone system in place, you can run your business from your cell phone and still sound, to your customers, as if they are calling a professional and established business. Just like having a professional looking website, you need to have a professional phone system, because it’s all part of your customers’ first impression. A bad first impression will hurt your credibility, reputation, and sales. A virtual small business phone system can give your startup all the power of a traditional business PBX phone system at a fraction of the cost. Starting at around $10/month, you can set up an auto receptionist with employee and department extensions that work with your existing phones (home, office, or cell). No need to purchase expensive telecom equipment. Virtual business phone systems are completely managed online and work with your existing phones. You can run your business using cell phones as a cloud-based PBX turns your mobile phone into your mobile office desk phone. The perfect business phone solution for remote teams and on-the-go entrepreneurs. 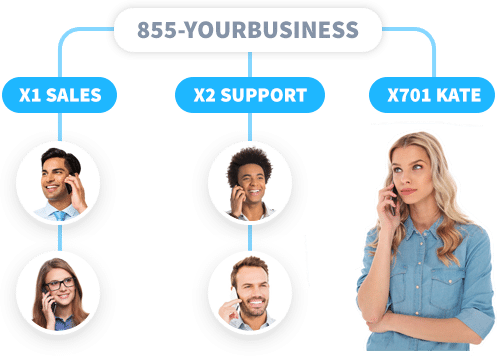 Since a virtual PBX is managed completely online, you can easily add users, extensions, and make chances to your business phone system as your business grows. You add a remote worker or new office location and adjust your phone system to accommodate your needs in minutes. Small business virtual phone system providers like UniTel Voice, offer flexible service, where you can upgrade or downgrade between plans at any time, there are no long-term contracts, no setup fees, and every plan includes a 30-day risk-free trial. Getting a virtual office phone system is a cheap way to set up a toll free number and a professional sounding phone system that will impress customers when they call your business. Having your own 1-800 number or vanity toll free number can give your customs the feeling they are calling a more established company. A virtual office phone system costs next to nothing to set up (around $10/month) but it can help you sound professional and stay connected. What does that mean? More opportunity to make sales. Your customers will feel like they are calling a professional business and with a virtual PBX in place, you’ll never miss a call. Your customers will never hear a busy signal. The UniTel Voice virtual phone system is managed completely online, so there’s no hardware to set up or software to download. And it works with your existing phones (home, office, cell, landline, or VoIP). You can also use the UniTel Voice App for Android or iPhone to make and receive calls on your smartphone. Every plan with UniTel Voice offers unlimited greetings, extensions, voicemail and users, so no matter how big or small your team is or how near or far part your team members are, you can stay connected. In fact, UniTel Voice turns your cell phone into your office phone – no matter where you go or where you work from, the world is your virtual office. Every plan with UniTel Voice includes free access to our voice talent studio, so you can provide a script for your auto attendant’s main greeting and/or voicemail and we’ll have a professional voice talent read and record it. That way when your customers call your business you’ll sound as professional as Fortune 500 company. If you’re not available to take a call UniTel Voice can take your customer’s message and email it to you. You can check your business voicemail, miss calls, etc. on the UniTel Voice smartphone app. Having a virtual office phone system means you can run your business anywhere no telecom equipment needed – that includes fax machines. With UniTel Voice your toll free number or virtual local number doubles as an internet fax line or efax, which means you can receive calls and send and receive faxes on the same number. If a fax comes in, your virtual PBX recognizes it as a fax and sends it right to your email inbox as a PDF attachment. If you need to send a fax you can do so from your UniTel Voice account as easy as sending an email. UniTel Voice gives small business owners and startups the ability to set up their own hot line number and call center for virtual teams and remote workers. You can give each person their own employee extension and further group employees into department extensions like sales and support. You can set up ring rules so that everyone’s phone ringing in a specific order or in a round robin. UniTel Voice is completely customizable, includes unlimited extensions and users starting at just $10 a month. Compared to other call tracking services UniTel Voice is a steal. You can add additional toll free or local numbers to your account and use those numbers on your different a marketing channels to track call volume and advertising ROI. UniTel Voice does so much more but it’s definitely a cheap way to get call tracking analytics. Every account big or small gets access to the USA-based customer support team. You can reach a real person by email, chat or by phone. We’re here to help you get the most out of UniTel Voice. We even offer a free concierge service where one of our account managers will actually log into your account and set everything up for you – we’ll do whatever it takes to make your life easier. The biggest mistakes entrepreneurs make is setting up an overly complicated automated receptionist. You’re not AT&T or Comcast, and an auto attendant is not an IVR (one of those annoying interactive phone system robots). When your customers call your business, your auto attendant’s main greeting should be short. The shorter the better. If it’s longer than 15 seconds, you risk callers hanging up. Don’t lose sales because you love the sound of your own auto attendant’s voice. Yes, you want a short automated attendant message, but it also needs to be sweet. Always say please and thank you (i.e., “Thank you for calling…”, “Please press 1 for sales…” etc.). Remember when it comes to email, live chat, text messaging and auto attendant recordings, you can never be too polite. Keep it short and sweet. Don’t use your own voice. Write a well thought out script. Get a professional voice talent to read that script into a professional microphone and create a professional recording. There’s a ton of voice talent studios out there with a variety of options regarding accent, music, sound effects etc. Prices vary, but if you’re a UniTel Voice customer, we offer free professional recordings for all new customers. When people call your business, your auto attendant is the first thing they hear, and as you know, first impressions matter. In addition to having a professional voice talent record a short and sweet message, you might consider branding the caller experience. Branding the caller experience may include adjusting tone of voice, using a particular accent or saying your company’s catchphrase. Sales is the life blood of every small business. And as such, your auto attendant’s first option should always direct callers to your sales team. When your callers dial 1 to speak to your sales team, be sure to have your call forwarding set up in a way that distributes the call to all available representatives. Don’t make a potential customer wait too long on hold or you’ll risk losing a sale. Your auto attendant’s second most important task is directing callers to your customer service team. If you’re a one person show or a small team – don’t complicate things by setting up multiple extensions for customer service, such as billing, account management, technical support…just keep it simple by handling all customer service inquires under one extension (e.g., “Press 2 for Support…”). And when your callers press 2 to speak to your support team, be sure to have your call forwarding set up in a way that distributes the call to all available employees. Don’t make customers wait on hold or you’ll risk losing them. Unless you’re open 24/7, you’ll want to set up an afterhours greeting so your auto attendant greets and routes calls appropriately when you have a staff shift switch or you close down for the day. The same rules apply for afterhours greetings. Keep them short and sweet. Stay on brand and be professional. If your current MO is just letting the phones ring and ring and ring until they dump into a generic voicemail, you should consider setting up an afterhours auto attendant to improve your customer experience. Your business voicemail should match the professionalism of your other auto attendant greetings, give clear instructions and set clear call-back expectations. Make sure everyone on your team can get and check their employee and/or department voicemail messages, so customer call-backs don’t fall through the cracks. At UniTel Voice we make it super easy for entrepreneurs to spin up a professional business phone system with a virtual auto attendant you can manage completely online. 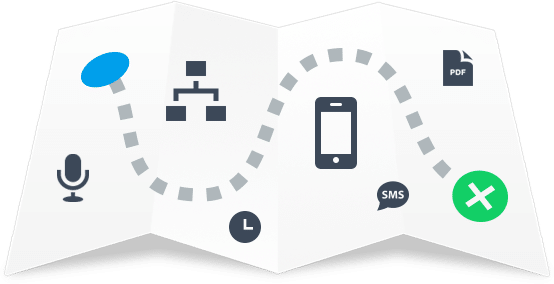 We’re happy to help you set up your greetings, extensions, voicemail, and call routing, so you can ensure the best caller experience for your customers. We’ll also help you write your auto attendant script and set you up with a professional recording from a voice talent of your choice – at no extra cost. UniTel Voice is simply the easiest and most affordable way for entrepreneurs to get a small business virtual phone system priced and designed for growing companies. 1. What is a virtual phone system? A virtual (cloud-based) phone system is a business telephone service that utilizes a hosted PBX instead of the typical on-premises PBX businesses traditional use and maintain. Virtual PBX phone systems include all the power of a traditional business phone systems (call forwarding, assigning extension numbers, ring groups, auto-attendant, voicemail, fax etc). However, there’s no equipment needed because everything is managed online. 2. What advantages does a virtual office phone system offer? Virtual (cloud-based) phone systems give small businesses all the power of a traditional business phone system without the cost or setup/maintenance hassle. Within minutes you can set up your phone system and project a professional image when your customers call. 3. Can anyone in North America call ainto a virtual pbx? Yes, anyone in North America can call your phone system. There is no difference in price. 4. Can people outside of North America call a toll free number? No, people calling from outside of North America cannot call a phone number with a toll free area code. 5. Can we have an auto attendant? Yes, UniTel Voice’s automated attendant provides everything you would expect from a professional business phone system including: greeting your callers, forwarding calls to a specified location (user, group, extension, department or voicemail), playing recorded messages etc. And because it’s a virtual auto attendant you can make instant changes online anytime. 6. Does UniTel Voice offer a free trial? UniTel Voice offers a 30-day risk free trial. If you’re not completely satisfied with your phone service within 30 days, we’ll refund your money – no questions asked. It’s also important to note there are no setup fees, cancelation fees or long term contracts with UniTel Voice – everything is month-to-month and you can upgrade or downgrade between plans at any time. Being a solo entrepreneur has its challenges. When Batman decided to “go solo” and start his own crime-fighting business, he knew he needed the right gear to get the job done. 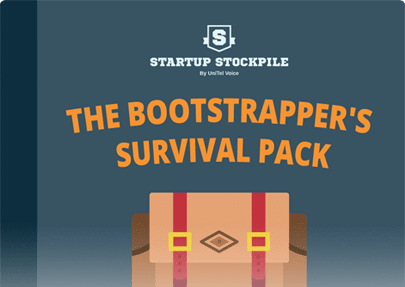 The infographic below covers some of the must-have business weapons every super solopreneur needs in their arsenal. The good news is: you don’t need to be a billionaire like Bruce Wayne to utilize these powerful small business tools. And of course, getting a virtual phone system from UniTel Voice tops the list below. Copyright 2019 UniTel Voice, All Rights Reserved.